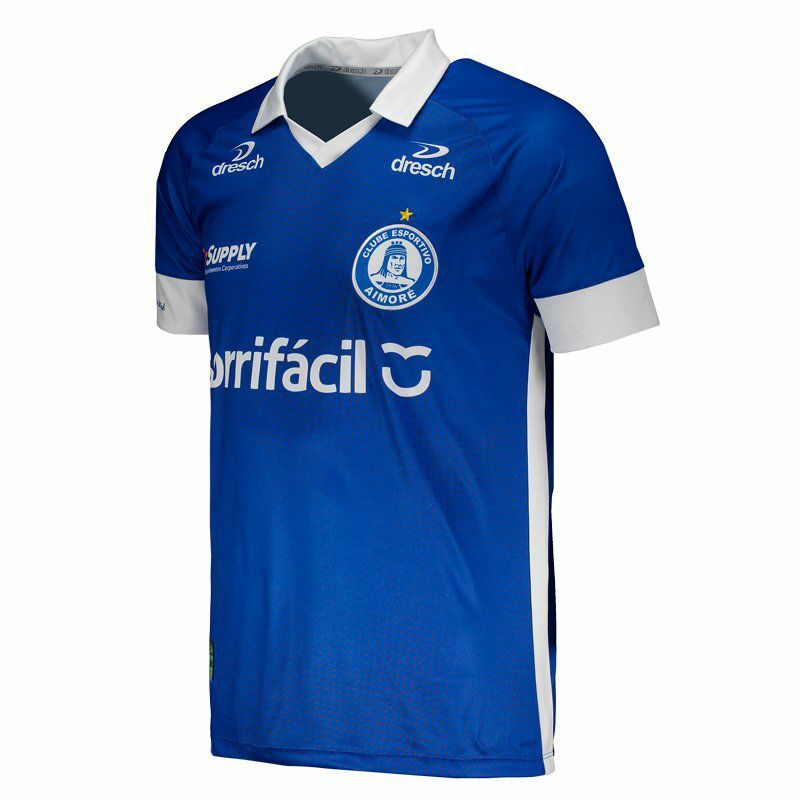 Manufactured by Dresch, Aimoré Home 2019 Jersey is a great addition for fans of the team to use in games and day to day. The piece is made of durable polyester, comes with number 10 on the back and offers name customization. More info. 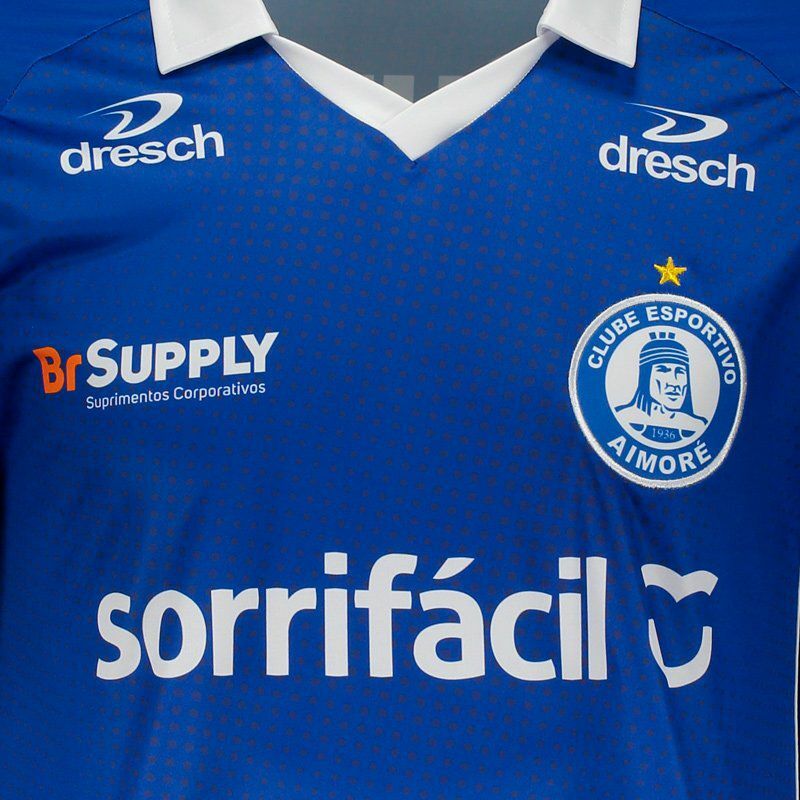 Manufactured by Dresch, Aimoré Home 2019 Jersey is a great addition for fans of the team to use in games and day to day. The piece is made of durable polyester, offering comfort and total body breathability. Named Original, the mantle features a blue-colored design and features small reticule throughout the structure with white accents. 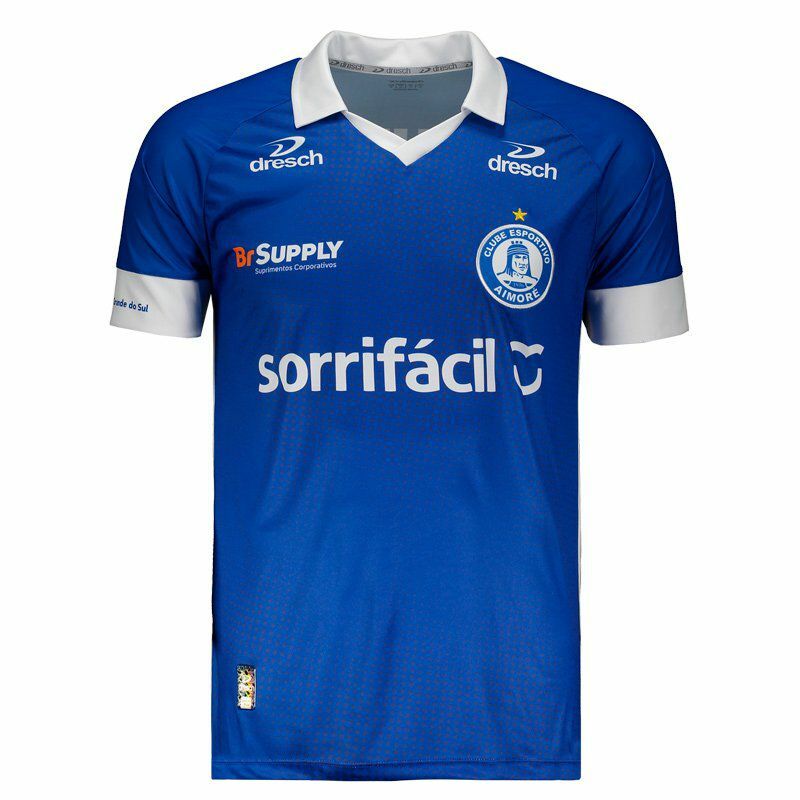 The club badge appears embroidered on the left side of the chest, as well as the Dresch logo, which features a printed logo on the opposite side. In addition, it has polo collar with cut V and in the handle of the right sleeve, the description "Brilhas in Rio Grande do Sul" is seen in highlight. 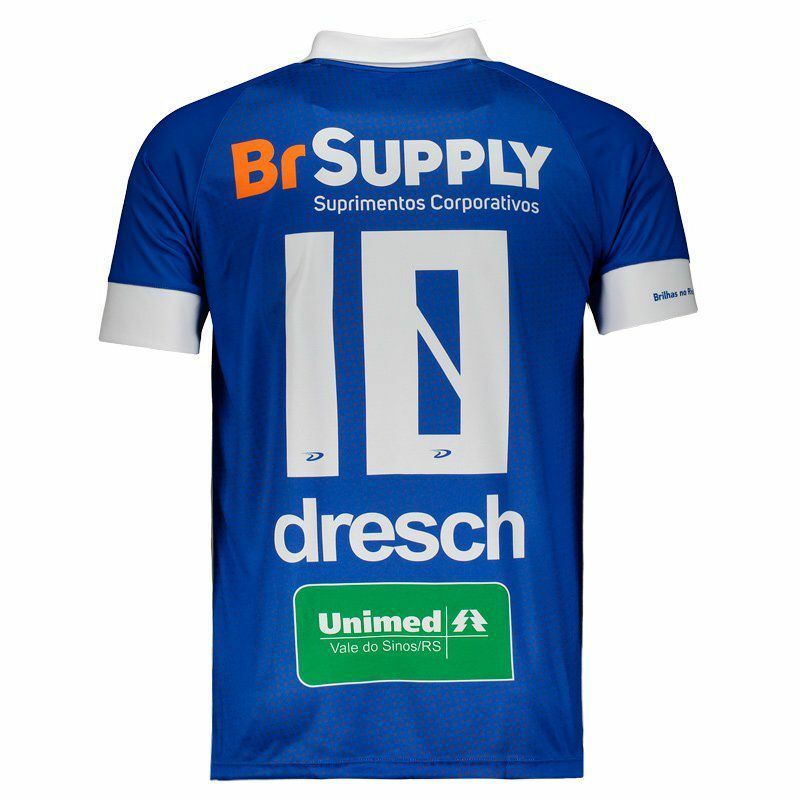 Finally, it brings the custom number 10 and poster of sponsors complement the details. Get it now!